Efficient window coverings are necessary for every working environment to provide relaxing zone and effective light control to make your office a comfortable place to work. Window coverings will also help protect your eyes from glare coming from the computer screen. Blinds like PVC Vertical Blinds will protect your room from direct sunlight at the same time it will provide comfortable temperature and atmosphere into your workplace. 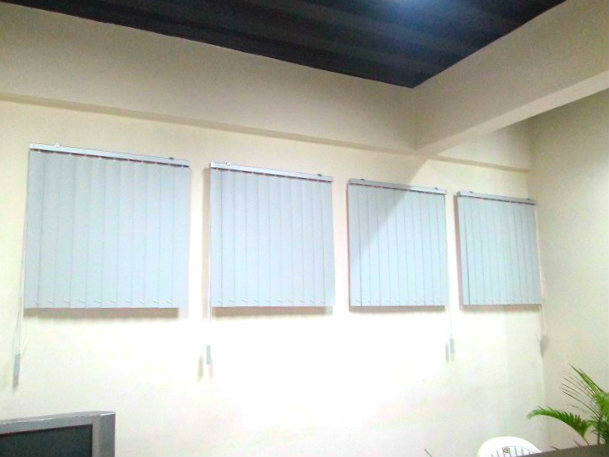 Our client in Shaw, Mandaluyong City, Philippines opted for PVC vertical blinds: Corr Curve Dark Gray because it provides high-level of light control and privacy. 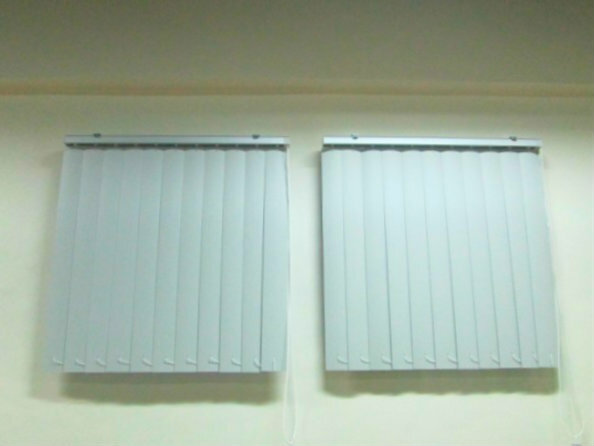 The vertical slats of these blinds are durable and easy to maintain at the same time it added benefit of attracting and gathering less dust, making them easier to wipe and clean. PVC vertical blinds are the best blinds for offices and commercial establishments because the oriented slats of these blinds provide complete privacy once closed and will let in sufficient light while preventing any direct rays once the slats are twisted. DS Windows and Walls Interior Supply offers different types of blinds with various colors and textures. We have two materials for vertical blinds, the PVC (poly vinyl chloride) and the fabric one. Both provide complete privacy and light control and in its very affordable price. For inquiries regarding our products and services, just call us at (02) 668-9668 / (02) 893-1373 / (02) 403-3262 / 0916-311-3909 or email us at inquiry@dswindows.com. If you have idle time, you can also visit our stores at 2nd level Pacific Mall Lucena City, 3rd level Robinsons Metro East, Pasig City and 4th level Waltermart, Makati City for actual samples of our products. You may also browse our Facebook page and like us at www.facebook.com/blindsphilippines.